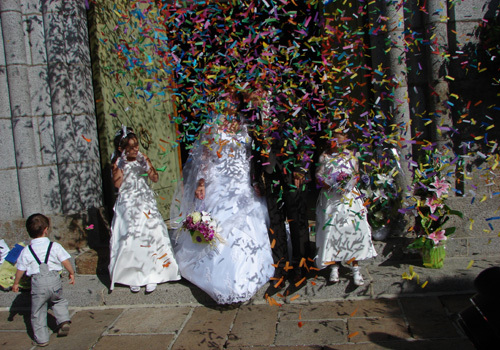 Whilst a wedding should be the happiest day of your life, it can also be extremely stressful. Given weddings are billed as such as big day in your life, the stress comes from the need to make it go as well as possible. Especially for the bride who has to a lot of the planning but also has the stress of trying to ensure she looks the best she can on her big day. The lead up to the wedding is always the most stressful, but there are a few tips and methods that can take some of this stress away. It may seem an obvious one but setting a date is a big step. You obviously have to find the right date that suits as many people as possible, but once you set that date it will feel like a weight off your shoulders. It gives you that target to plan towards and means that you have a schedule in place to get everything sorted. It will also add the excitement as a date is set in stone, and the more excited you are, the less stress you will feel. Everyone would love to have their own tailor made wedding, but sometimes that can be a little too much to ask. Getting help in this day and age is nothing to be ashamed and in many cases it can add to the quality of your wedding. For example, if you are worrying about everything else and don’t have time to sort the flowers – it would be a better option to get some help with this rather than leaving no time for it at all. That way you will simply have to tell someone what you want and they will find the right thing for you. An example of this is Wedding Site where you will find all the stress relieving advice and help you will need for a great wedding. Adding a personal touch to any wedding will always be a welcome addition. It can also make things a little less stress free as you have done things your way. By issuing things like personalised wedding invitations, you make people feel welcome and make it seem more of a special wedding. Personalising certain things on your day can be a really neat and loving touch to your big day.